The Master of Science in Accounting program at George Mason University is meant to help students achieve the minimum 150 hours of study to qualify for the licensing exam. Some of the reasons students choose the university for their graduate accounting degree include potential salary increases, accreditation by the Association to Advance Collegiate Schools of Business, and the convenient scheduling that helps students graduate in two years or less with part-time study. Online courses are delivered in modules that allow students to enroll in two classes every two months. The online program is designed to offer students flexibility in earning a degree when they can’t attend classes on campus and need the convenience of a part-time schedule. Many students choose to continue their career while attending the university’s online graduate accounting program. Overall, the program requires that students complete at least 15 credits of core classes and 15 credits of elective courses. Required courses in the program include Professional Accounting Colloquium, Identifying and Resolving Advanced Issues in Financial Accounting, Global Accounting Environment, Fraud Examination, and Identifying and Resolving Advanced Issues in Taxation. Global Accounting Environment requires all online students to participate in a one-week global residency abroad. Locations where students have studied, include Frankfurt, Prague, and London. Some of the elective courses a student can take are Advanced Managerial Accounting, Governmental and Nonprofit Accounting, Fraud and the Law, Governance, and Ethics, and Federal Financial Reporting. Electives chosen in the program must be different from courses taken by the student in undergraduate school. Students will speak with a program advisor to ensure all new courses taken in the program will lead to on-time graduation. One of the benefits of the program is that students may take classes online or via face-to-face campus enrollment, so students in the Fairfax or Arlington area can take their courses on campus when it suits them. After graduation, students will also have the opportunity to enter a variety of careers in advanced accounting environments including Controller, Chief Operating Officer, and Chief Financial Officer. Some of the employers who have employed graduates of the program include Ernst & Young, Deloitte, KPMG, and Grant Thornton. Students are eligible for financial aid when they enroll in the program. According to the university, 66 percent of graduates received a monetary bonus when signing with a company after graduation, and 86 percent were able to find a job in an area of their interest. Located in Fairfax, Virginia, George Mason University was founded in 1949 as a public university. Although it was once part of the state’s university system, the university would eventually become an independent entity in the 1970s. The university is named after one of the founding fathers of the United States. The large school has more than 24,000 undergraduates and more than 10,000 postgraduates attending classes at the Fairfax campus, through online study, and at several satellite campuses in Virginia. The suburban campuses in Virginia cover 1,148 acres with the Fairfax campus representing the vast majority of that acreage. The school’s official colors are green and gold, and the school’s mascot is The Patriot. Students on sports teams at the university participate in NCAA Division I games. The Commission on Colleges of the Southern Association of Colleges and Schools (SACSCOC) has accredited George Mason University to award college degrees. The last time the school underwent reaccreditation was in 2011, and the school will undertake the reaccreditation again process in 2022. Various schools, colleges, and degrees awarded by the university are also accredited. Programs offered by the School of Business are accredited by the Association to Advance Collegiate Schools of Business, and the college is one of only 25 percent of business schools to hold accreditation for business and accounting programs. The Master of Public Health program at the university is accredited by the Council on Education for Public Health. 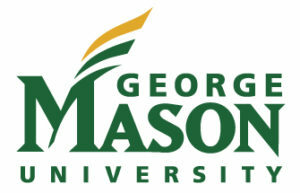 Applications for first-year students at George Mason University should include standardized test scores, a report from a secondary school source or a recommendation from a counselor, a personal statement, and a list of the extracurricular activities in which the student has participated. The personal statement isn’t required, but it’s highly recommended. Some majors at the university are considered more selective regarding admission than other programs, and students may need to submit to an audition or send a portfolio when applying. To be eligible for graduate admission, students must already possess a bachelor’s degree from an accredited university, have a GPA of at least 3.00, and be able to submit official transcripts. Foreign students must prove proficiency in English when applying. Undergraduate tuition at George Mason University varies. Residents of Virginia pay $377.50 per credit hour and out-of-state students pay $1,355.00 per credit hour. All students also pay a mandatory student fee of $141.75. Full-time tuition of 12 to 16 credits comes to $4,530.00 for residents and $16,260.00 for non-residents. All students will also pay a $1,701.00 mandatory student fee for full-time enrollment. Students enrolled in graduate programs will pay tuition based on their program choice. For example, students earning a Master’s in Criminal Justice will pay $689 per credit for in-state tuition or $1,546.75 for out-of-state tuition. Students enrolled in School of Business programs will pay $859 per credit for in-state tuition or $1,709 per credit for out-of-state tuition for degrees that include the MS in Management and all graduate accounting degrees. Costs for online learning are similar to those for on-campus classes. Some online classes may charge extra general or laboratory fees. Students who attend George Mason University are eligible for a variety of types of aid that include federally-backed student loans, Work-Study awards, grants from various sources, and scholarships from institutional, state, and private sources. Students must make Satisfactory Academic Progress (SAP) when attending the university to continue receiving financial aid throughout their college career. For example, students must earn their degree in less than 150% of the overall credits needed to graduate in that program. Undergraduate students may need to provide financial information from their parents if they’re attending college for the first time and are considered a dependent of their parents. Parental financial information isn’t necessary for students attending George Mason University at the graduate level.